Say cheese! Preserve the memory of your child and his or her beloved teacher this Teacher Appreciation Week by taking an adorable picture of them! Here, we have some colorful signs that you can personalize to add some flair to the photo! Click the image below to open up and print the templates. 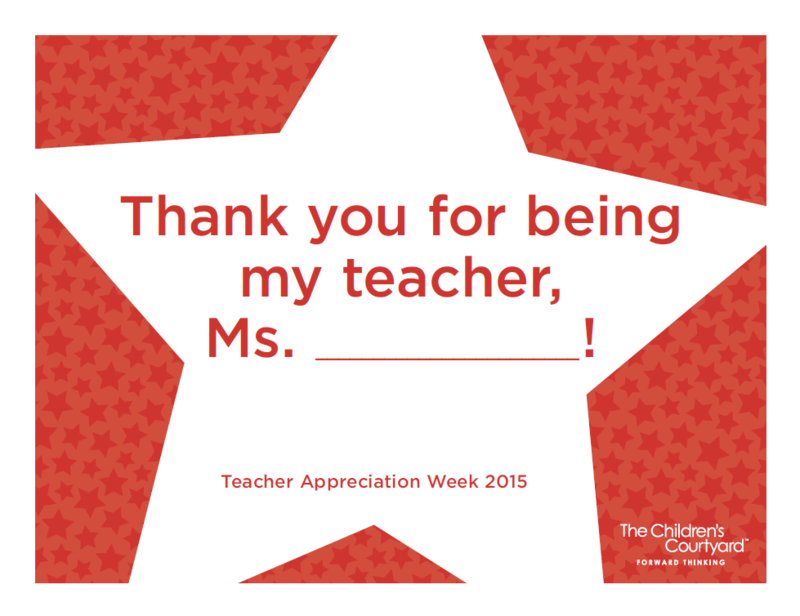 Need another idea for a simple, yet sweet gift for your child’s teacher? Download our free printable “thank you” note template here and have your child write their teacher a thoughtful note to thank them for all they do!